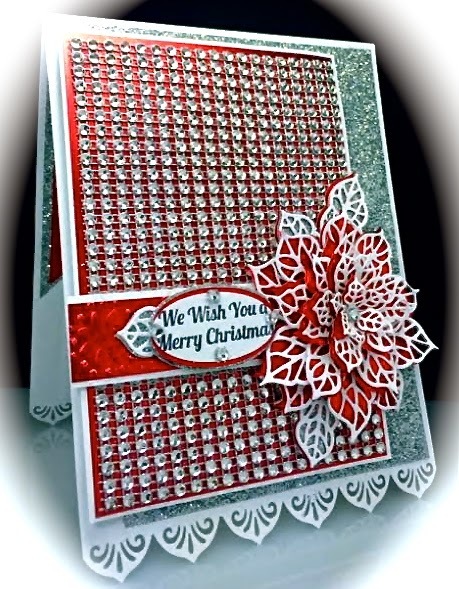 These Festive Collection dies by Sue Wilson are just so beautiful! 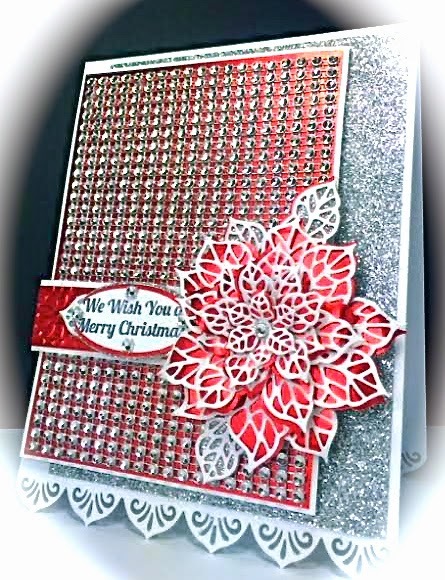 If you aren't already familiar with Sue's gorgeous works of art, check out her fabulous Blog for inspiration! Sunday's shows on Create and Craft, are on at 11, 2 and 7pm, UK time which should be 5 hours earlier for us EASTERN STANDARD TIME FOLKS (so 6am, 9am, and 2pm, EST). You can see them on your computer if you go to www.createandcraft.tv and then click on the Watch TV live tab at the top of the page. CHECK IT OUT AND DONT MISS OUT!! Thanks for stopping by. I so love hearing from you. Wow America this is AWESOME..love it..
What a beautiful card!!! Thanks for joining us this week at Suzy Bee's Bloomin' Challenge Blog and good luck!!!! !